Floor area 52 m. sq. A well maintained two bedroom first floor apartment with a generous living/dining room and kitchen area, two bedrooms with built in wardrobes and a fully tiled bathroom. Floor area 65 m. sq. We are delighted to offer this well presented modernised two bedroom top floor apartment with a spacious living/dining area, separate kitchen, modern bathroom and attic store. Floor area 77 m. sq. 6 Blackheath Court is a well proportioned modern 2 bed house in excellent order with easy to manage gardens. Whether you are trading down or a first time buyer this quiet cul de sac will tick all your boxes. Floor area 102 m. sq. This idyllic house is hidden away in a quiet leafy cul de sac, just off the Howth Road. Floor area 124 m. sq. Huge potential in this four bedroom home on the Seafront which presents a great opportunity for the discerning buyer. An extra long rear garden and a generous driveway provide plenty of room to extend. Floor area 110 m. sq. Not overlooked and awaiting a new family, this three bed family home has three receptions rooms, an updated kitchen, full bathroom and a private rear garden. This property will tick a lot of boxes for the discerning buyer. Floor area 116 m. sq. Did you know that Ardlea Road Artane has a cul de sac? 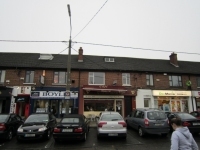 It�s the second turn left when you turn on to Ardlea from Artane roundabout and it�s a quiet and settled part of the road with little traffic. Floor area 97 m. sq. 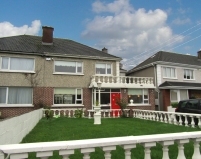 This is an ideal 3 bedroom family home in the heart of Clontarf. An end of terrace house which has an extra long rear garden and a side entrance offering tons of potential. Floor area 150 m. sq. A bright, spacious family home full of hidden gems, this Drumcondra house has been meticulously upgraded as its occupants evolved from children to adults, creating a modern, flexible home to suit all requirements. Floor area 60 m. sq. An affordable home for a first time buyer is hard to find in this location so number 68 Rathvale Drive will appeal to owner occupiers and investors too. Presented in good order with a lovely fresh coat of paint and new carpets throughout. Floor area 88 m. sq. With its own front door and a fireplace in the living room this ground floor apartment has the feel of a small modern house. 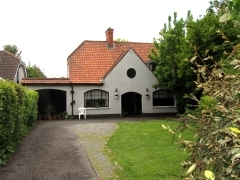 Off Vernon Avenue at the edge of St Annes Park this is a perfect location if you are thinking of trading down. Floor area 83 m. sq. Floor area 130 m. sq. Facing the Sea, walks along the coast, an ever changing view through the windows, the lights in the bay at night, watching the giant cruise ships coming and going, cycleway straight to the City, dedicated bus corridor. And it is a lovely house too! Floor area 140 m. sq. Floor area 53 m. sq. Floor area 138 m. sq. Number 15 has a West facing back garden backing on to the playing fields of Greenlanes Primary School. Floor area 112 m. sq. Watching the sun going down on a warm summers evening is best achieved from the patio doors of a West facing rear garden. Floor area 182 m. sq. You can see the entire peninsula from the rear garden of 22 Asgard Park, a detached four bed family home standing on a quarter of an acre of landscaped grounds. This lovely two bedroom duplex apartment with own front door is located in a much sought after development. Floor area 0 m. sq. This is a wonderful opportunity to build a new 4 bed detached house in the heart of Artane. Current accommodation includes a part modernised three bed semi detached house with a large garage. Floor area 180 m. sq. Seafield Road is well known for the eclectic range of house type to be found along the street and number 55 is one of only two South Facing semi detached dormer bungalows to be built in this style. Floor area 188 m. sq. We are delighted to present this beautiful, early twentieth century, Neo-Georgian bungalow, located on a large corner site and overlooking St Annes Rose Garden. Floor area 184 m. sq. Tastefully refurbished and totally modernised throughout. With a lavish extension to the rear this substantial family home is presented in "walk in" condition. Floor area 120 m. sq. Its a pleasure to offer for sale a red brick family home that invites you to walk in and just hang up your hat. 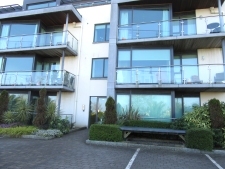 A beautifully furnished and superbly presented 3 storey house on Castle Avenue in Clontarf. Four bedrooms en suite, modern extended lounge with double door to decking area. Large kitchen and private gardens, ideal family home. Floor area 136 m. sq. 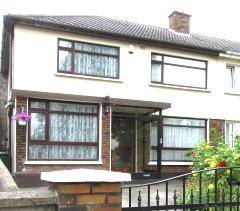 This spacious five bedroom semi detached property is located in the heart of Clontarf. Floor area 103 m. sq. Within 5 minutes walk of the village of Clontarf and only a few steps further from the sea, this charming 3 bed family home has been lovingly upgraded and maintained throughout its life. 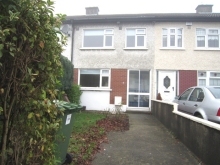 This is an ideal 3 bed family home in the heart of Clontarf in need of modernising. Close to great schools, shops, restaurants with St Annes Park and North Bull island on your doorstep. Floor area 106 m. sq. A beautiful 3 bed home home presented in walk-in condition. This lovely home has been tastefully refurbished throughout. Floor area 142 m. sq. 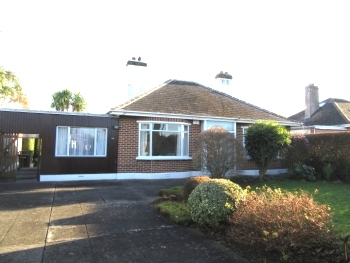 In any year there are usually only a couple of opportunities to acquire a seafront house in Clontarf. Floor area 128 m. sq. Not overlooked and awaiting a new family, this three bed home has three receptions rooms, an updated kitchen, full bathroom and a private rear garden. This solid family home will tick a lot of boxes for a discerning buyer. When they were building the bungalows in Kilbarrack in the fifties they must have thought there would always be plenty of land available for houses in Dublin as the sites were generous in the extreme. Floor area 134 m. sq. An extra bedroom makes all the difference to a growing family. Add a full width modern living/kitchen extension and not one but two extra bathrooms and you have most of the boxes ticked. Extended, upgraded and in good order too. Floor area 132 m. sq. A property in need of total renovation and priced accordingly, this 1950�s four bedroom semi detached property offers a new family the ideal opportunity to design their new home to their own internal specifications. Floor area 86 m. sq. There are only 106 houses directly facing St Annes Park and we are delighted to be able to offer one of them to a lucky buyer. Floor area 159 m. sq. Floor area 87 m. sq. Facing St Annes Park and built in the mid 1970�s this is a modern house in good condition throughout. Double glazed windows and gas central heating are installed, the tapering site provides extra room to extend if desired. Floor area 95 m. sq. A solidly built family home with large gardens. Five minutes walk from the nearest Dart Station, main road buses, excellent primary schools and the wonderful St Anne�s Park. Ready for renovation and renewal. Ideal family home in great location. 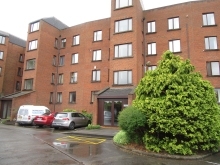 Well maintained and upgraded including recent rewiring, downstairs guest Wc and fitted kitchen.
. Close to St. Anne� s Park, Raheny Village, Bus corridors and Dart Stations. Floor area 123 m. sq. This solid well maintained 3 bed semi detached family home has the added bonus of a converted garage, with a kitchen extension and a sun room to the rear. Floor area 72 m. sq. 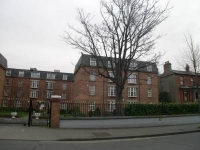 A beautiful two bed (doubles) apartment located on the highly sought after location of Castle Avenue in Clontarf. Floor area 109 m. sq. This solid 3 bed semi detached family home has the added bonus of a converted garage and a side entrance. Floor area 92 m. sq. Located in a mature and settled area, this extended 3 bed has extra kitchen space and an en suite bedroom too. 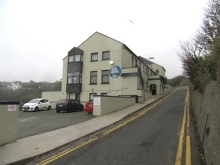 Howth has become a mecca for foodies and the nautically inclined over the past few years and this 1st floor Apartment is a perfect base from which to explore the local delights. Floor area 93 m. sq. This four bedroom end terrace home is only a minute away from Bayside Dart station in a cul de sac setting. In need of some modernisation, it has great scope to extend to the side and a Southerly rear garden. A great opportunity to acquire a small modern family home. In need of redecoration with a south westerly rear garden. Floor area 56 m. sq. Within walking distance of the IFSC and the City Centre, this affordable home will appeal to both owner occupiers or investors. Floor area 101 m. sq. In excellent condition this 3 bed family home offers a larger than average garden and additional attic storage. Providing a modern bathroom and a fully fitted kitchen in good order. Only 5 minutes drive to the M50, the M1 and the Airport. Floor area 61 m. sq. Floor area 43 m. sq. A little piece of old Dublin for you to call your own. This one bed cottage is both an ideal starter home and a super investment property. Floor area 70 m. sq. A three bedroom mid terraced home in a mature area close to Dart line. This property has double glazed uPVC windows but is otherwise in need of a complete refurbishment. A blank canvas with tons of potential. Floor area 63 m. sq. 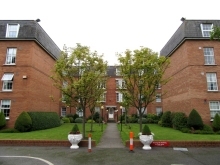 In close proximity to the Airport, Beaumont Hospital and the M50, Larch Hill is a modern mature development of Apartments and Townhouses in a parkland setting. A two bedroom mid terrace starter home, in a mature and settled area. Floor area 44 m. sq. 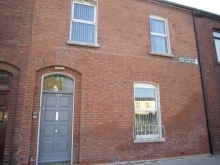 Beautifully presented 1st floor apartment located off Philipsburgh Avenue in Fairview. Floor area 69 m. sq. Located in secure surroundings with private parking, electric entrance gates and landscaped environs. This lovely apartment offers the buyer comfort and luxury. 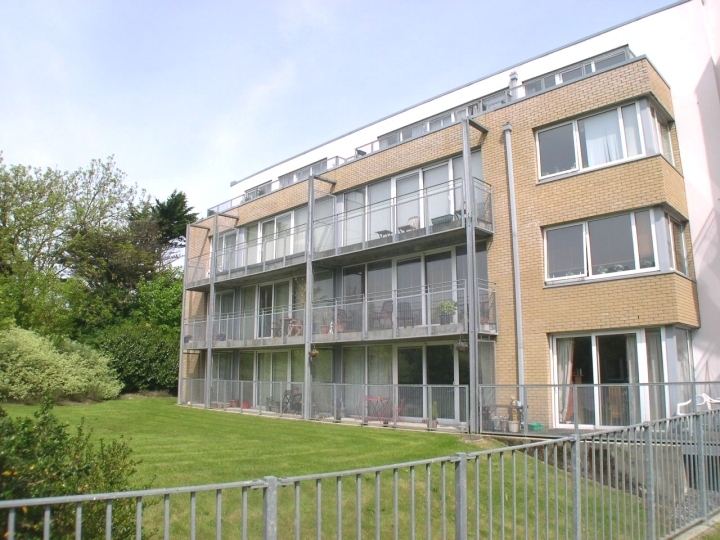 This is a modern and spacious ground floor 2 bedroom apartment presented in excellent condition throughout. The complex is maintained to the highest standard with well kept gardens and common areas. Floor area 78 m. sq. As NEW! 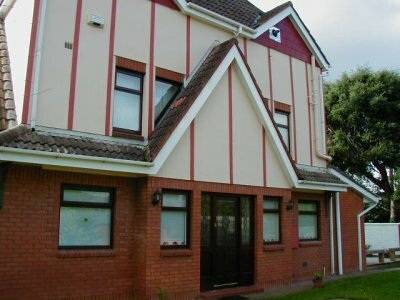 We offer this lovely 2 double bed ground floor apartment. In pristine condition with two bathrooms and a dedicated underground parking space. Floor area 34 m. sq. Your dining room window overlooks Balscadden Bay and the sea, an ever changing vista that could inspire you to paint, to write or just to think. 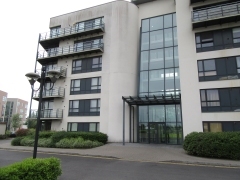 This is a small but well proportioned apartment and great value in this area. Floor area 195 m. sq. Floor area 75 m. sq. Floor area 76 m. sq.